I cannot believe the new year is here. Where does time go, seriously? I am absolutely READY for 2012. I was happy with how 2011 played out and I am believing 2012 to be just as good, if not better. I used to be all about “resolutions”. I came to the conclusion last year that my resolution should be to always be reflective in my personal life, spiritual life and professional life, throughout the year. Life is always changing and something I decided on the first day of the year may not be applicable on 230th day of the year. So, with that said…I am ready to make 2012 a fantastic year for me, for my family, for my students, for everything that I can. 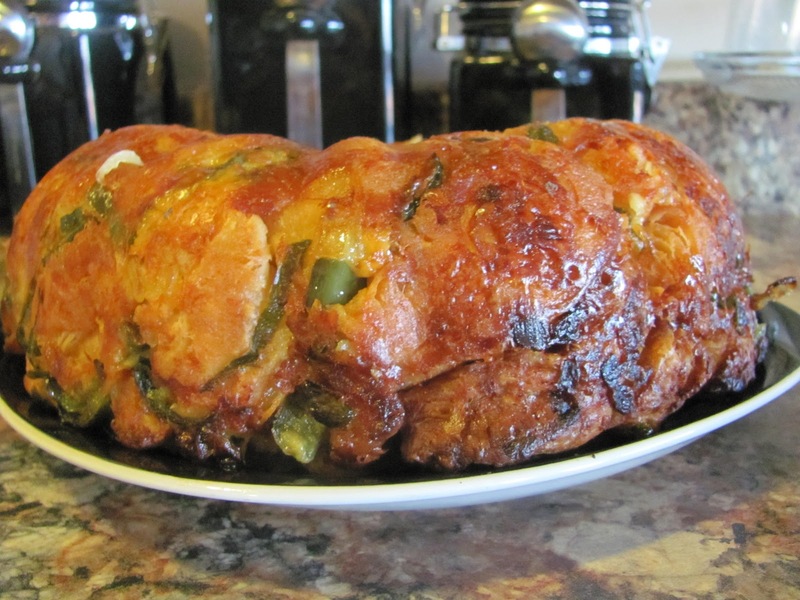 Tasty Bites: To help bring in the new year, I made a bacon-cheese-jalapeño bread that was DELISH! I would highly recommend this recipe. I used my good friend, GoogleChrome, and found this gem of a recipe on yummly.com. The only thing I changed, was I used 2 large cans of biscuits and 1 small one. I also used ready to eat bacon instead of cooking up some. 1 Fry bacon to crisp and drain. 2 Add onions and peppers to bacon drippings and sauté until done. 3 Cut biscuits in 4 pieces each. 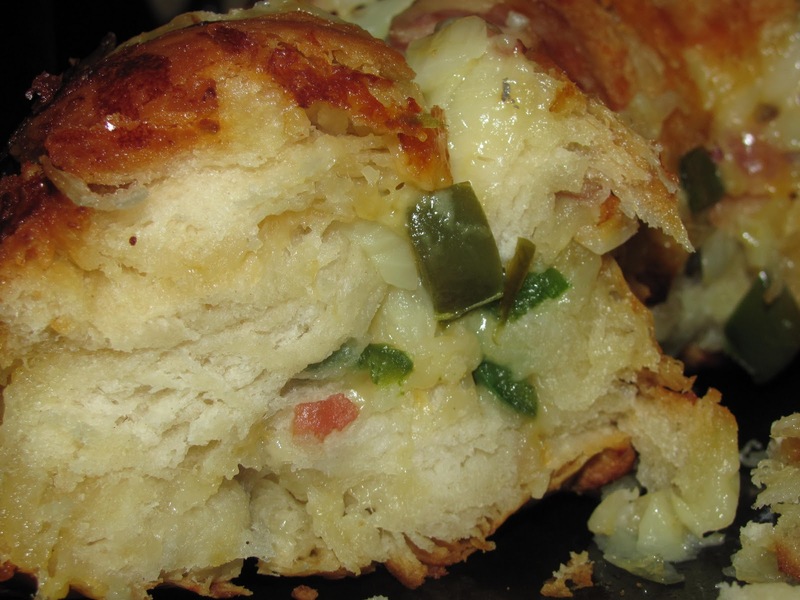 4 Toss the biscuits, cheese, onions, green pepper, bacon and margarine in a large bowl. 5 Put everything in bundt pan. 6 Bake 35 minutes at 375°F. Some more yummy spicy food I made was spicy pretzels. My friends are always making them and (of course) I lost the recipe. So, I looked one up on allrecipe. VERY GOOD. In a small bowl, mix together cayenne pepper, lemon pepper, garlic salt, ranch-style dressing mix and vegetable oil. Place pretzels in a large, sealable plastic bag. Pour in mixture from bowl. Shake well. Allow pretzels to marinate in the mixture approximately 2 hours before serving. Shake occasionally to maintain coating.